Truagh Development Association Ltd. Community Services Programme invites CVs from suitably qualified applicants for the position of ‘Cook’ (19.5 hrs per week) based at the Blackwater Valley Learning Centre, Knockconan, Emyvale. Experience working in the catering and/or hospitality sector essential. Collected from the office at the Blackwater Community Learning Centre, Ballyoisin, Emyvale, Co. Monaghan, Monday to Friday. Job Purpose: Your role as ‘Cook’ is to apply appropriate cookery and bakery skills and experience to meet the catering needs of the Community Services Programme at the Blackwater Valley Learning Centre. To provide a high degree of cookery knowledge and skills in the preparation and presentation of all foods within the kitchen. 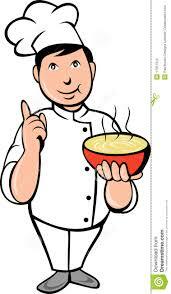 Continually address and implement good food hygiene requirements for food catering operations. Work effectively with other staff in the team e.g. Assistant Catering Staff. To support and promote the development of the catering sector within the Community Services Programme. Team work – To work effectively with Staff and Management of the Community Services Programme to ensure high standards of services is achieved. Additional – To perform any other reasonable duties as required during working hours and by the Manager. The successful applicant will be self-motivated and dynamic and have a commitment to Catering and Hospitality within a community setting. You will have a strong commitment to the aims and objectives of Truagh Development Associations’ Community Services Programme. Health – Candidates shall be in a state of health such as would indicate a reasonable prospect of ability to render regular and efficient service. Duration of Employment: This is a Part-Time (19.5 hrs per week) permanent contract subject to funding. Location: Blackwater Valley Learning Centre, Ballyosion, Emyvale. The ‘Cook/Baker’ will be responsible to the Manager of the Community Services Programme (CSP). Persons in receipt of Jobseeker’s Benefit, Jobseeker’s Assistance or one parent family payment. Persons in receipt of disability allowance, invalidity pension, blind persons pension or other disability benefit. People employed from Community Employment (CE) and Job Initiatives (JI) schemes are deemed eligible. Rural Social Scheme (RSS) workers who are former CE placements are also eligible. CSP funding is not intended to replace existing CE schemes which have a different focus and priority. Recruitment – Selection shall be by means of a competitive interview. Applicants will be short listed for interview based on the information submitted on their CV. Garda Vetting and Child Protection –The successful candidate must be Garda Vetted and will receive Child Protection Training on commencement of position.